Virtual reality is nothing new. The term was, in fact, coined in 1938 by legendary theatre director Antonin Artaud. He used it to describe the illusory nature of characters and objects in the theatre – simultaneously real and imagined. Technology has become more sophisticated since the clunky headsets and even clunkier graphics of early experiments. It’s only in the last couple of months that virtual reality headsets have hit the market, but VR is already being used in filmmaking, gaming, even open-heart surgery. Now it’s starting to invade theatre too. 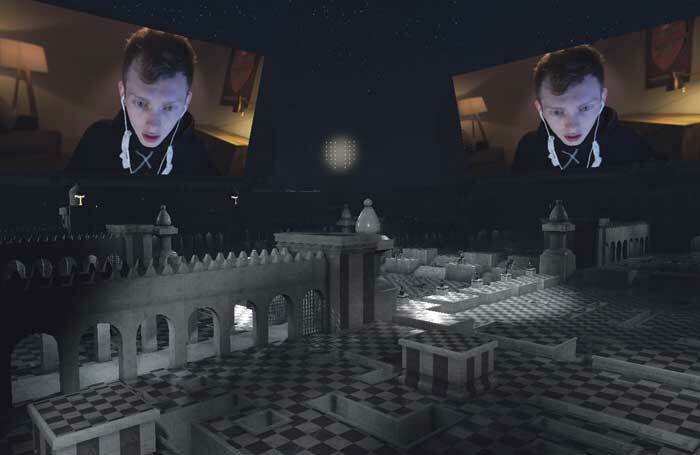 In a shrewd attempt both to pre-empt and shape this new format, the National Theatre is experimenting with VR as a way of connecting with new audiences. A rehearsal room in the National Theatre Studio is full of tech: there’s a huge TV screen, cables everywhere, trestle tables covered in headsets and laptops. Instead, it’s all about experimentation and play. The relationship with theatre is complex: VR doesn’t have the liveness that is such an essential part of the theatrical experience. But dramaturgically it requires many of the same skills as theatremaking. Raby explains that typically five people are involved in creating a VR project: director, producer, scriptwriter, 3D artist and a developer. “The idea of devised work is really interesting,” Coffey says. “Everybody is learning from each other.” It’s collaboration born of necessity: theatremakers may have the narrative and dramaturgical skills, but they lack the technical knowledge; programmers and 3D modellers know how to build a virtual environment, but not necessarily what to put in it. 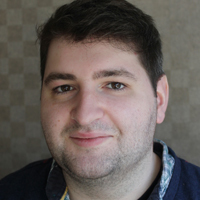 David Kaskel, artistic director of VR theatre company Breaking Fourth, is about to launch a virtual reality piece called CTRL about online gaming. He says it’s been “an iterative process between the writer, the director and the modellers”. Kaskel conceived the story, and then brought in playwright Abraham Parker, a recent graduate of the Royal Court Young Writers’ Programme. These projects are flourishing in part because they have adopted the bedrock of theatrical practice: collaboration. Whereas the job of a film director is to choose exactly what the audience sees in a small rectangular space, theatre directors cannot control the head movements of the audience. VR involves similar directorial techniques: how can you offer a 360-degree environment to an audience and guide the focus of their attention to where you want it to be? “In the broadest sense, it is a theatrical medium,” says Kaskel. When he talks to theatremakers “it just clicks more naturally than some of the film people – who have to unlearn a lot. It’s not about close-up, it’s not about cuts, it’s not about pans”. Coffey and Raby agree. For good theatremakers, the ability to direct the audience’s attention in a three-dimensional environment is instinctive. What’s unique about CTRL is that, when it opens in London, 20 people will experience it at the same time. One of the fundamental aspects of theatre is that it’s experienced as part of an audience, with other people. VR is, mostly, a solo pursuit. Even if you wanted 200 people to experience a VR piece at the same time, and had the budget for it, Coffey says that availability is an issue. On Broadway, among some of the mega-producers such as Disney, toes have been dipped into VR but in less experimental ways. Last year, Disney produced a VR video of The Circle of Life from The Lion King, while Andrew Lloyd Webber’s musical School of Rock filmed one of its songs in 360 degrees. The videos (which are available on YouTube and can be viewed with budget headset Google Cardboard) are fun, but are more promotional tools than pieces of VR theatre. Coffey dismisses the idea that this might be the future for NT Live. For him, and for the National, it’s about doing something new. 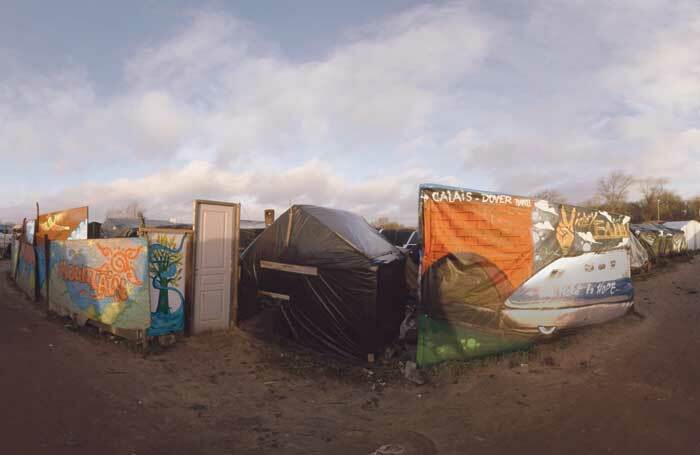 “When you bring the tech in and people have a go with it, they just realise what the opportunity for change is.” So far, the NT has created one generated VR piece – for the musical Wonder.land – and one film piece, a verbatim documentary set in the Calais Jungle, in which you hear the story of Sudanese migrant Aamir while exploring the tents and trailers of this makeshift city. The other concern is that form takes precedence over content. For Decorne, “there’s a risk that people are seizing the opportunity of using new technology but they’re not looking at the content. If you’re not looking at the content it’s never good enough”. “I’m bored of talking about VR now,” says Coffey. 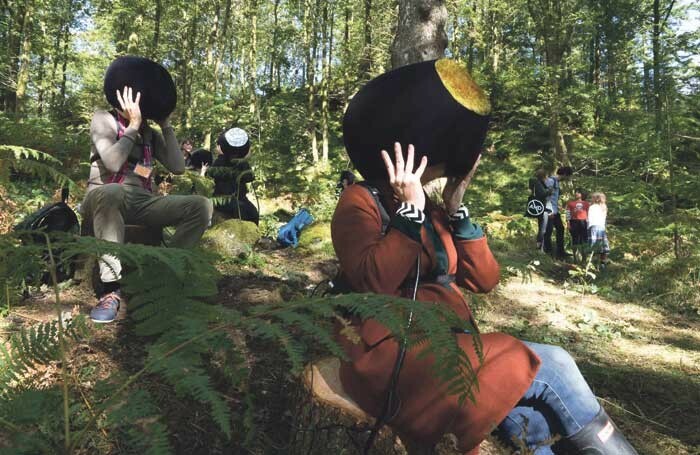 “Theatre needs to get over the novelty and start making some decent work.” With several VR documentary films in the pipeline, it seems that – for theatre – the virtual world is quickly becoming a reality.